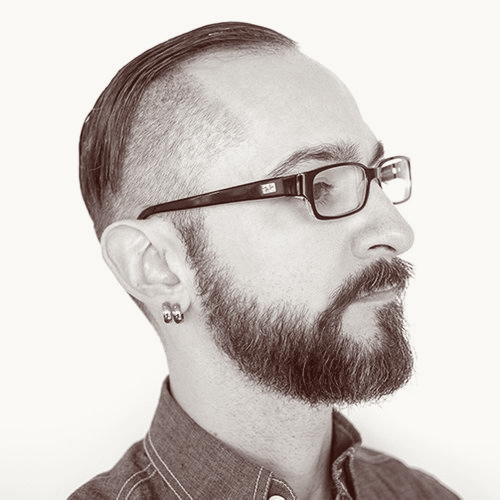 Justin is a multi-faceted, multi-pierced, multi-tattooed designer, author, and speaker. He wrote the celebrated book Cultivating a Creative Culture, is the Vice President of Human-Centered Design and Development at bswift (an Aetna company), and a contributor to A List Apart. With Josef Müller-Brockmann and user advocacy claiming equal parts of his creative heart since graduating The School of the Art Institute of Chicago, he’s immersed himself professionally in tangible and digital media over the past 20 years. As a perpetual student of human-centered design, observation, and creative process, Justin builds teams and cultivates cultures within organizations around the perspectives and skillsets we already use daily in our work: empathy, objectivity, and creativity. The inspiration from the tangible realm (e.g. "the world outside our viewports")—and its infusion into our digital work—is a core passion of his. He spoke and workshopped on the topic at "Design Day" in Sweden earlier this year. Justin's personal creative outlet is pseudoroom design.